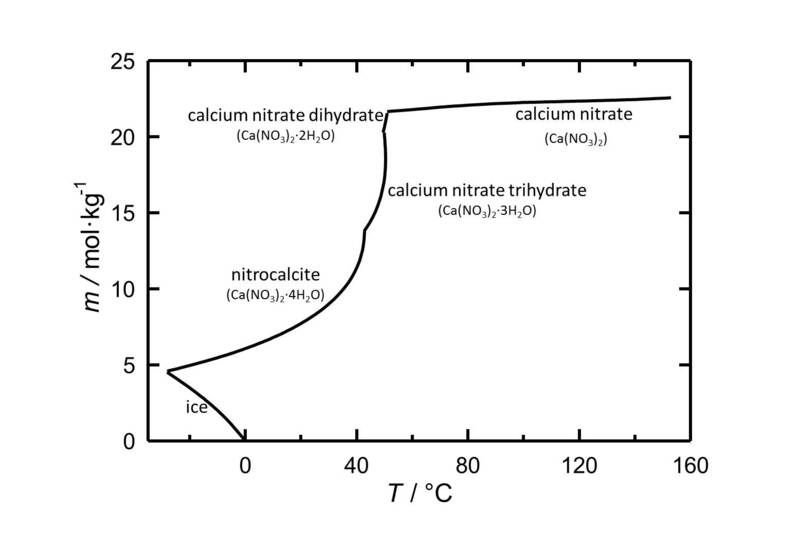 Figure 1 Solubility of calcium nitrate in water. 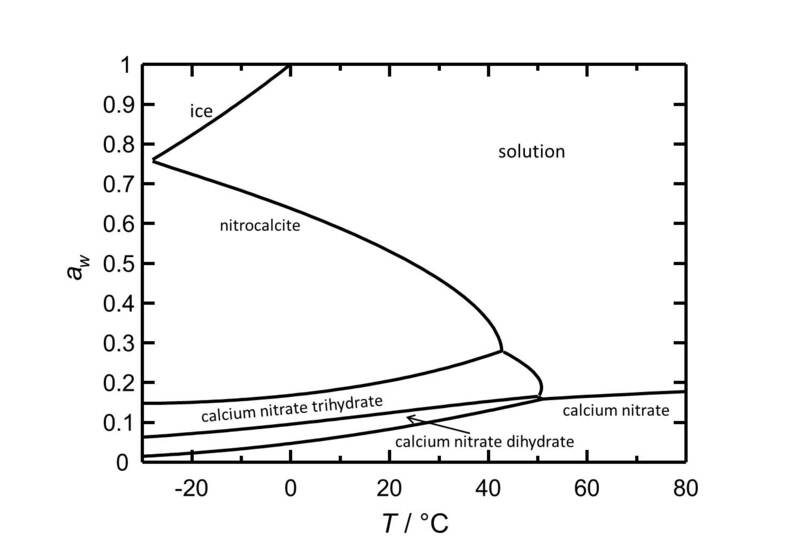 The molality m [n(Ca(NO3)2•xH2O)•kg(H2O)-1] is plotted versus the temperature. 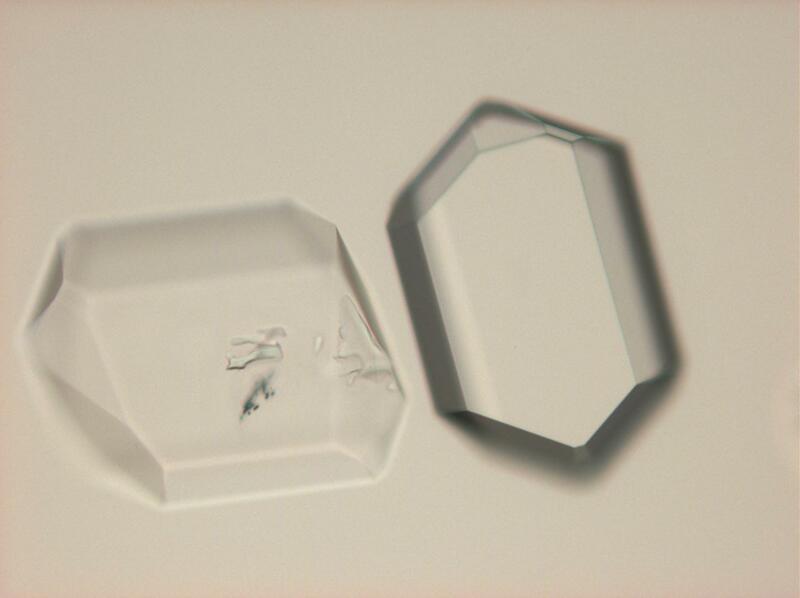 At 20 °C nitrocalcite is the stable phase of calcium nitrate. 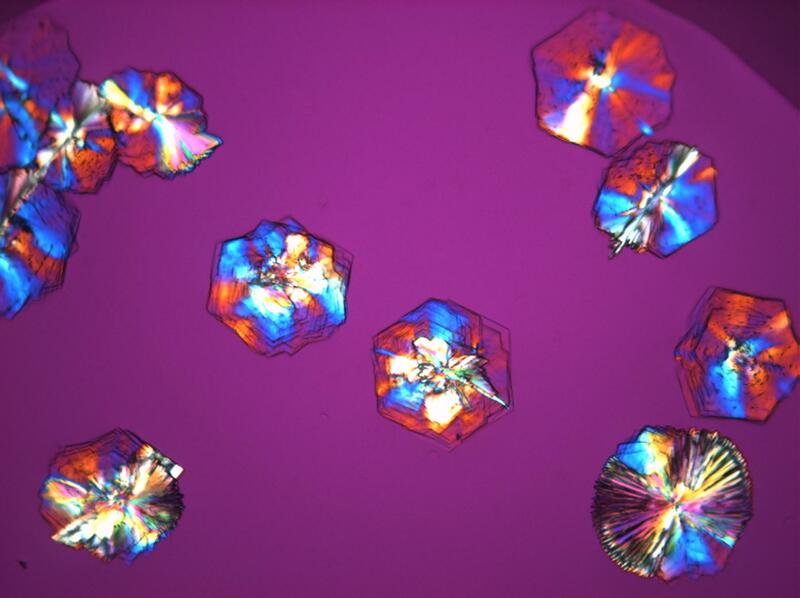 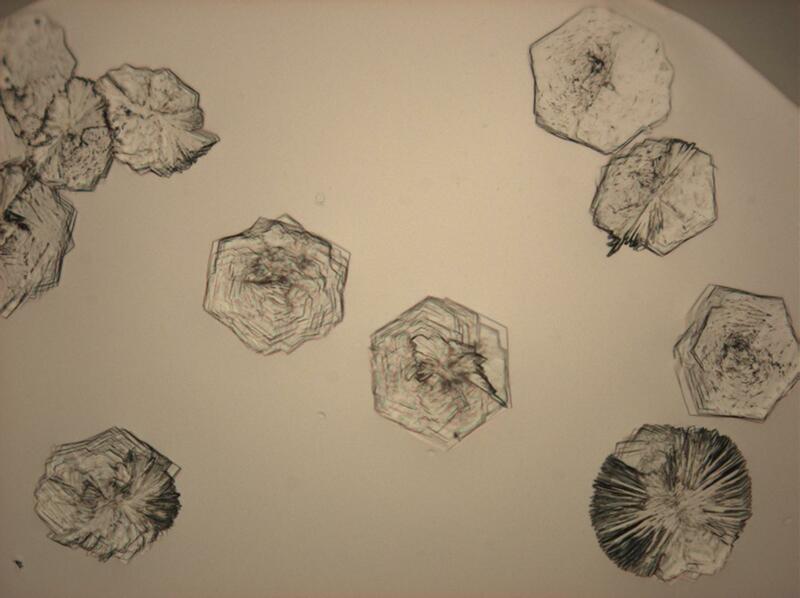 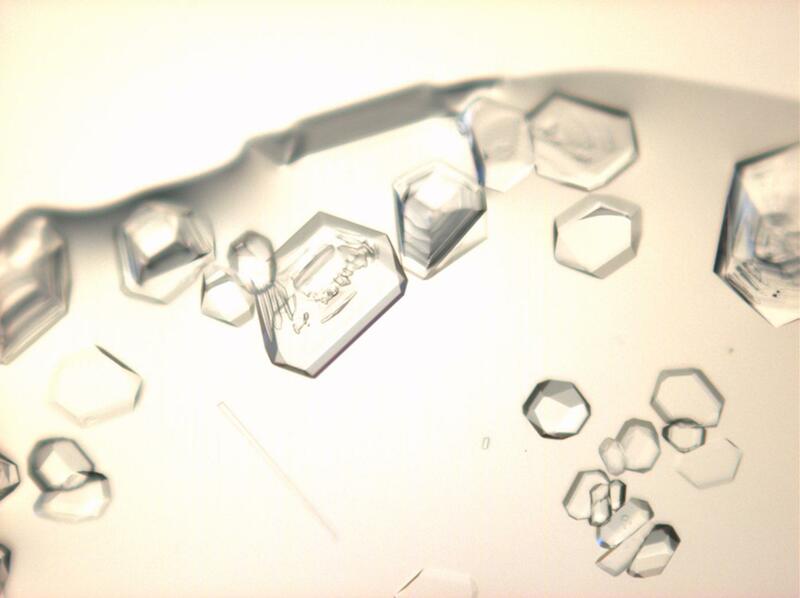 The salt has got a high solubilty in water and due to the temperature range of its stability it is relevant as a crystallizing phases under ambient conditions. 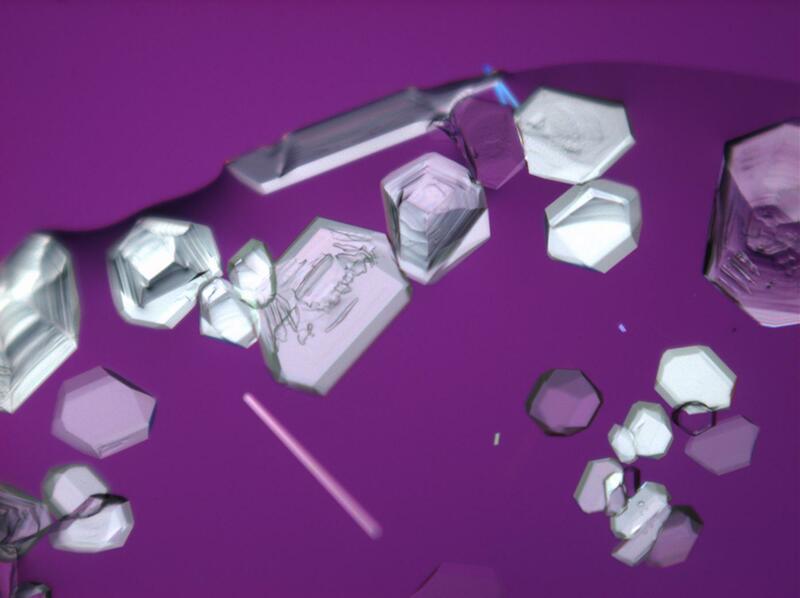 Figure 2 Deliquescence behaviour of calcium nitrate. The water activity aw is plotted versus the temperature.